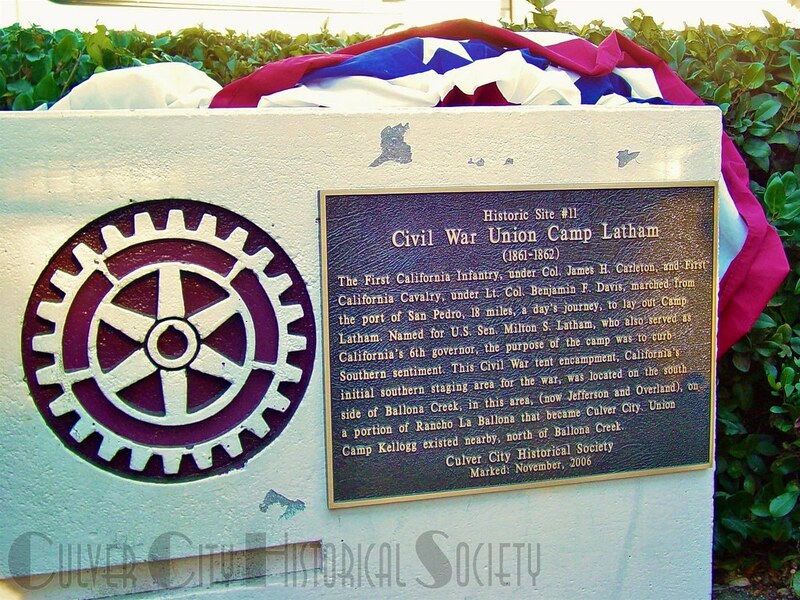 Camp Latham was a Civil War Union Tent camp that existed from 1861-62. 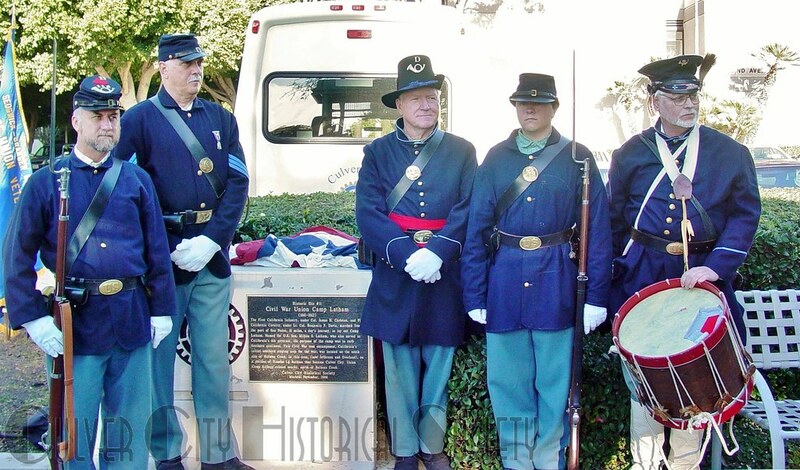 It was established to curb “Southern sentiment.” Soldiers marched 18 miles from San Pedro, a day’s journey, to lay out the tent camp. U.S. Senator Milton S. Latham, for whom it was named, also served as California’s sixth governor. The camp was laid out on the south side of Ballona Creek, near the current day intersection of Jefferson Boulevard and Overland Avenue. 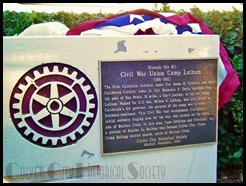 The marker was placed on Overland at Rotary Plaza. Union Camp Kellogg existed nearby, on the north side of the creek.